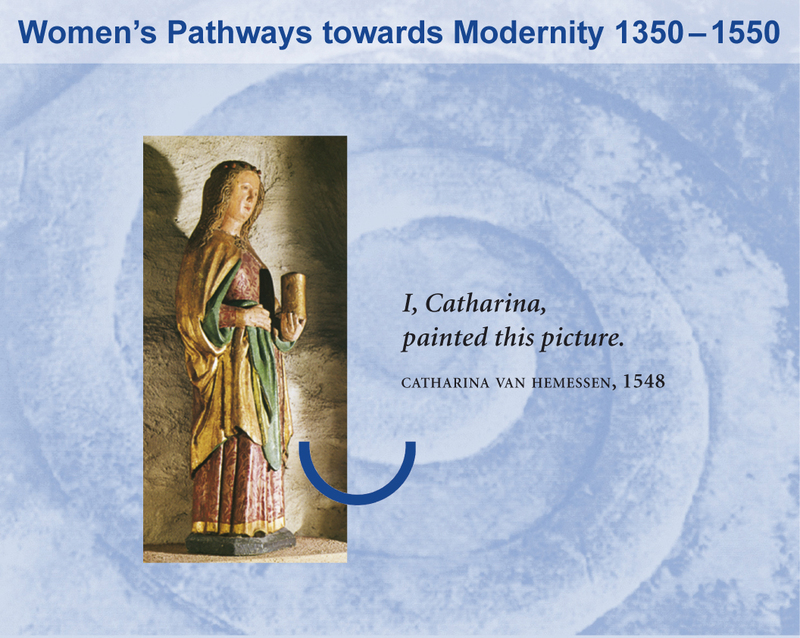 The third TimeSpace, and room, recounts the freedom and self-awareness of the Christian woman in the Middle Ages. She is the avant-garde of modernity. ,As a matriarchal symbol, the vessel, indispensable in daily life, stands for the fullness of life and for containing and preserving what is good. As apostola apostolorum Mary Magdalene with the vessel of ointment represents the everyday exchange relations, in which due proportion' formed the basis of societal interactions. The painted wood sculpture from the 15th century is in the German Apothecary Museum in Heidelberg.